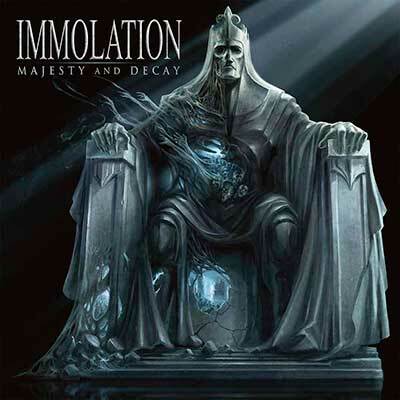 • "Majesty and Decay" is Immolation's eighth full-length album, originally released 2010. • This death metal classic is often cited by fans as the band best album! • The band formed in 1986 under the name Rigor Mortis. • Shared stages across the world with bands such as Cannibal Corpse, Morbid Angel, Marduk, Mayhem, gaining a massive international fan base! • For fans of Morbid Angel, Suffocation and Gorguts. • FANTASTIC 140 GRAM CLEAR WITH WHITE/BLACK SPLATTER VINYL.